Pressure washing a deck is something that takes time and practice. Once you get the hang of things, you’ll make fast work of the task. You’ll be able to clean the surface of your deck with ease. That means you’ll have more time to enjoy it when clean-up is fast and easy! No one likes to spend more time on a task than needed. Life is short and there are plenty of enjoyable things you’d rather be doing. With that being said, a clean deck provides you with the atmosphere needed to truly enjoy the outdoors by yourself and with others, too. You’ll have an easier time spending part of the day on your deck when it looks and feels the way you want it to. If a family member or friend drops by, you’ll be able to instantly entertain them outdoors. You can watch your children play, take the dogs out, and even admire your garden from the comfort of your deck. Remove all items from the deck so that they’re safe. Make sure that everything is off the platform as you want to be able to reach all of its nooks and crannies. Remove furniture, rugs, potted plants, and cushions. Place them in a location that is far away from the spray of the pressure washer. That way, they don’t get wet and ruined. If possible, cover them with a tarp or plastic wrap that you can easily remove after pressure washing the deck. Apply a deck brightener and let it sit over the surface of the entire deck. This helps bring out the natural beauty of the wood. You’ll want to make sure that the entire deck has an ample amount of the substance sprayed onto it. Let it sit for a few minutes before moving to the next step. This helps clean the wood and bring out its natural beauty. Wash the deck. Give it the attention it so desperately needs. Make sure to follow the directions on the pressure washer so that you’re able to get the job done quickly. Pay close attention to the spaces between the boards because that’s where a lot of build-up of grime occurs. Apply sealer to protect the wood. The final step helps protect the wood from rain and water. It takes a short while for the seal to dry. Within an hour or two, it will be ready. Place items back on the deck. You’ll then be ready to use your newly cleaned deck once again. Make sure to shake out rugs before laying them down to remove dirt, dust, and debris. If you don’t, you’ll end up having that right on your deck once again. Then you’ll be back to square one which is something that you don’t want to deal with. It’s counterproductive. Pressure washing a deck is a great way to remove build-up of dirt and grime. It helps loosen up debris which is helpful if you plan to repaint your deck at a later time. Knowing how to use a pressure washer makes the task much easier and cost-efficient. You won’t spend valuable time trying to figure out how the device works because you’ll be too busy using it to beautify your deck. If you don’t have the time to pressure wash your deck, you’ll want to opt for a composite deck. It will reduce the amount of upkeep necessary to keep your outdoor space looking great. Composite decks are an option if you don’t have a lot of time to clean and stain your deck. The benefits of having a composite deck built include the look and feel of real wood with less upkeep. It’s durable and long lasting, too. You’ll have a deck that you don’t have to clean often which is ideal for your active lifestyle. 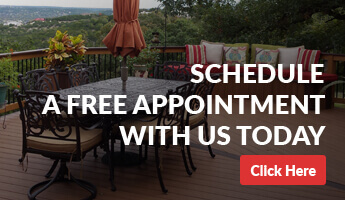 Restore your deck to its natural state by cleaning it regularly. 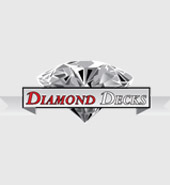 Diamond Decks knows how important the space is to you. If you take good care of your deck, it will take good care of you. Trust us! There isn’t an investment around with a higher rate of return. Think of all the use you’ll get out of your outdoor space throughout the year. It naturally draws people to it. Your family, friends, and neighbors will want to sit on the deck and drink a glass of ice tea. You can visit while you fire up the grill. Diamond Decks knows how much you’ll love your new outdoor space. If you don’t have a need for a new deck, what about an outdoor kitchen or a pergola? You have options when you have us build for you!